We evaluate your needs, give you a fair assessment, and never try to sell you something you do not need. Our job is not done until the customer is 100% satisfied! You work with an expert, not a salesman. 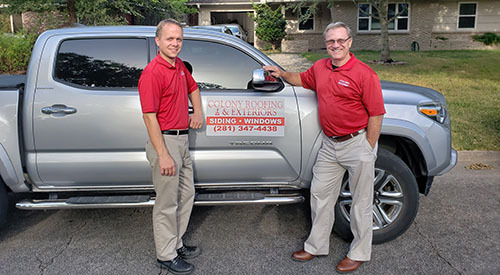 Owner Steve Furber built homes for ten years and started Colony Roofing & Exteriors in 1990. When the job is complete we don’t just show up for the check. We first walk the job with to make sure you are 100% satisfied. Because we are a GAF Master Elite Contractor, we can offer you warranties that exceed industry standards. 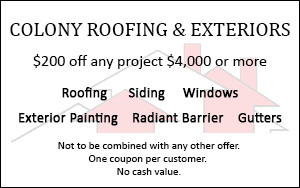 At Colony Roofing & Exteriors we are proud of the fact that much of our new business comes from the referrals of our 100% satisfied customers. We have been keeping our customers satisfied for almost thirty years by using only the highest quality materials, employing experienced and courteous crews, and standing behind our written warranties. 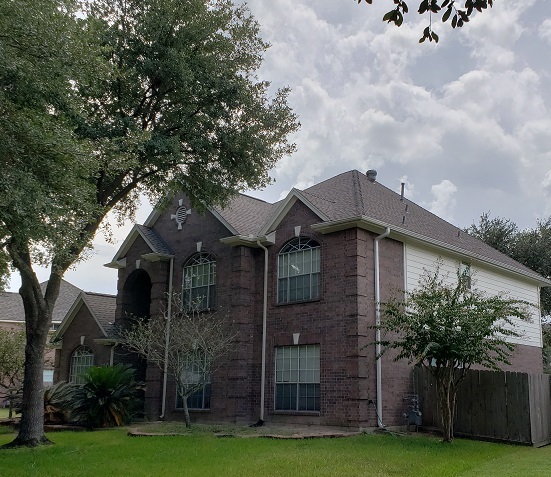 Contact us today at 281-347-4438. You never work with a salesman – you work with an experienced roofing contractor. Many customers choose us because they understand that they are talking to a knowledgeable and experienced professional! We never use strong-arm tactics or smooth sales pitches to persuade you. Instead, we explain the process, answer all of your questions, put everything in writing and, if you like, can provide you with referrals. Plus, we never try to sell you anything you do not need. Our customers’ satisfaction is very important to us! Check out our testimonials’ page on this website. We set up appointments that are convenient for you and we are always on time. Because we know your time is valuable, we will never keep you waiting. We are a GAF Master Elite contractor. 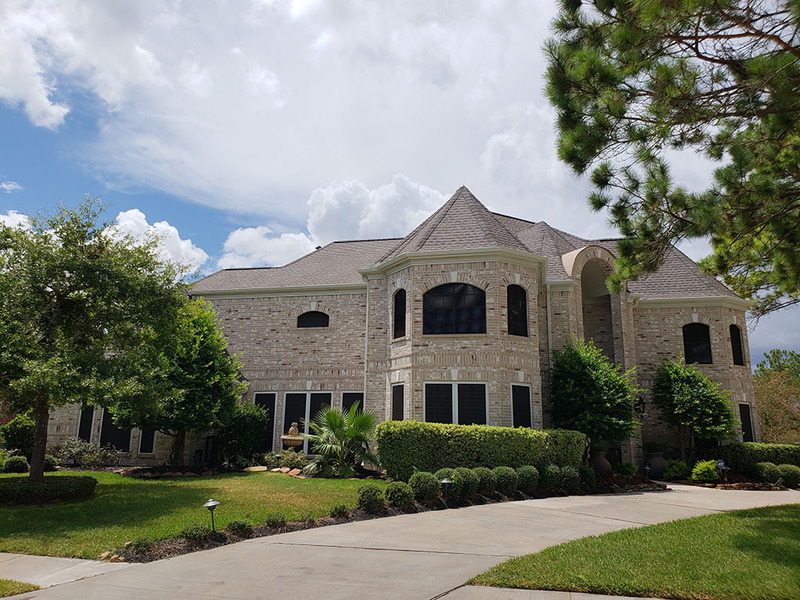 We use only quality materials and make sure that your roof (or other project) is properly installed so that you can enjoy years of protection and beauty. We have an established reputation of honesty, integrity, and excellent performance. We have been locally owned and operated since 1990. Our contracts are in writing, not verbal or on the back of a business card like many contractors and handymen. We install only quality materials with excellent warranties. We stand behind our labor warranties. We are a multiple recipient of the Angie’s List Super Service Award. 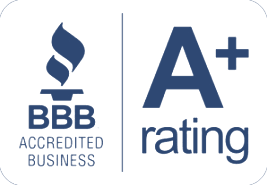 We have an A+ rating with the Better Business Bureau – The highest possible ranking speaks for itself! We are also an accredited business. If you need our assistance, we can walk you through your insurance claim. We have been working with insurance companies for several years and they respect the way we do business. We can also meet with your adjustor to discuss the damage to your home. Listen to expert roofing advice from a professional.